Just Romantic Suspense: Everyone has secrets. Everyone has secrets. That's the tag line for Hot Pursuit 1. Everyone has them. We wouldn't be exciting without a few. Of course my hair color is natural. Yes, I made this cake from scratch. My house is always this clean. If the truth is discovered, nothing happens other than having to hand out the name of your hairdresser or your housecleaner. You don't die. In Hot Pursuit, Anna ran from her dangerous past and forged a new identity. Her past is her secret. Life is just fine, fine, until Nick Malone comes along. He knows she has secrets, that her life is a lie, and pushes her to share the truth. But if she does, they both could die. Hot Pursuit isn't about little secrets, it's about life or death. Whether a secret from the past can keep you from your future. Which will Anna choose? Her past or a future with Nick? How can she survive one to be with the other? 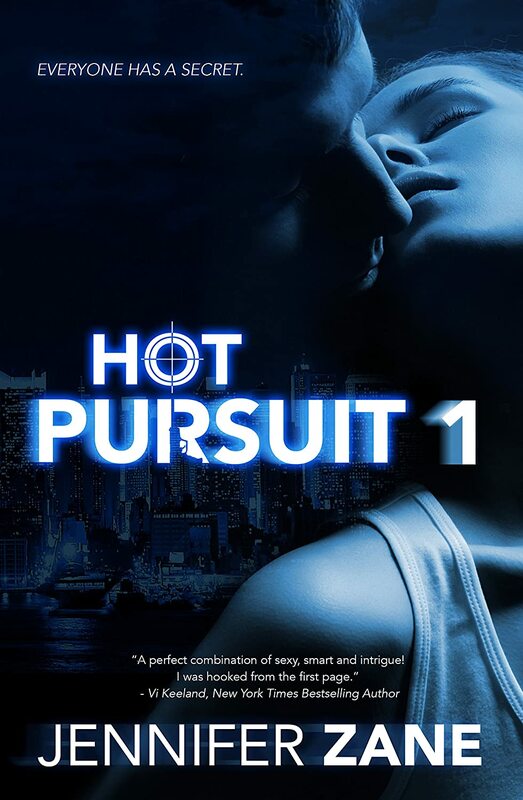 I hope you will read the Hot Pursuit series and find out! Anna Scott has given Nick everything. Her heart, her body, and the truth about her past. But every action has consequences, and now, thanks to her, Nick is in more trouble than ever. He's running from his old boss, distracted from his undercover work, and secretly negotiating with the most powerful mafia boss in New York. She knows the only way to free him is to step into the spotlight once more and face her enemies. She is convinced that Nick must stay in the shadows to be safe, but the stubborn man isn't cooperating. Once she learns the truth about him--that he's really Jake Griffin--she realizes that his sense of honor and duty will get him killed. Protecting the man she loves is the only thing that matters to her now, no matter the cost. Jake Griffin is in love with a woman on the run. The woman he knew and fell in love with was an illusion born of desperation. Anna Scott has powerful enemies and blood in her past, but neither can deny the passion between them. Grif will do whatever it takes to help her, including recruiting a notorious killer to help him. Grif will walk the razor's edge between right and wrong, good and evil, truth and lies, because Anna Scott is everything to him now, and he'll play any game, take any risk to save her from the monsters in her past, and from herself. 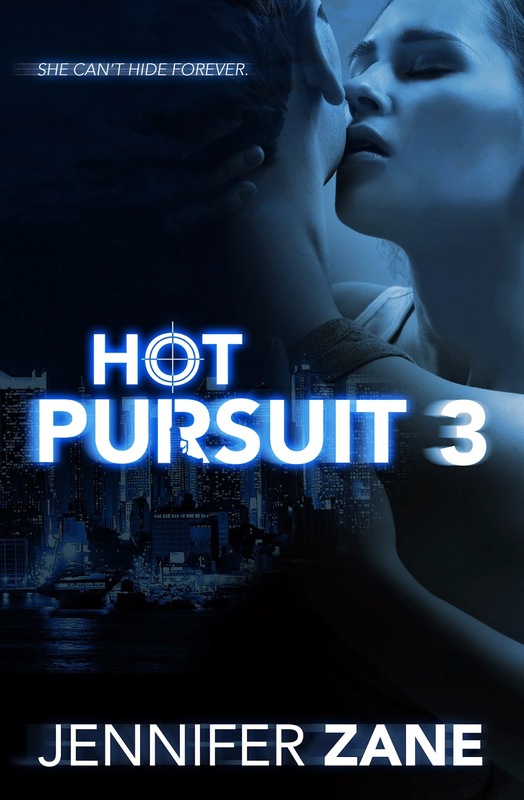 Hot Pursuit 4 - Out 12/15! Jennifer Zane has lived all over the country--from Georgia to Maryland, New York to Colorado. including an exciting five years in Montana. Her time in Big Sky country was the basis for this book. When she's not writing, she savors the insanity of raising two boys, is figuring out how many meals she can make with a pressure cooker, and teaches a pretty mean karate class. She currently lives with her family in Colorado. OOH, sounds good Jennifer :) Love the mysterious feel to your covers also. Thanks jbiggar! I'm excited about this RS as it was based (extremely loosely!) off of a real incident that happened to me. The whole story is based on Anna receiving the wrong rental car from a hotel valet and everything spins out of control from there. This book sounds like my kind of read!! I will def get this book. By the way, this blog is so awesome!! !